Voices From the Field - What? So What? Now What? 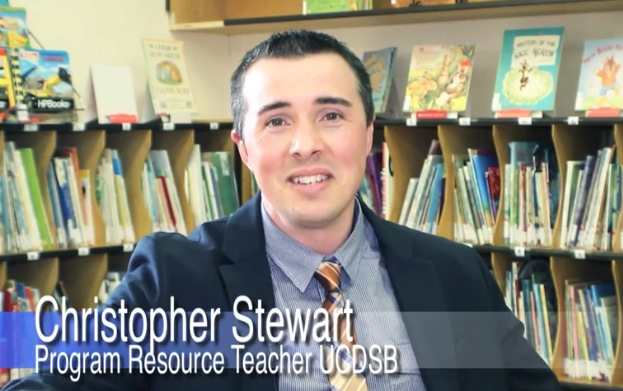 Hear from Upper Canada DSB teachers & administrators regarding system-wide, continuous school improvement in the teaching and learning of mathematics. This video chronicles educators' experiences with school-level improvement practices through the lenses of whole-school approaches to school improvement, supporting the vision of the mathematics learner, building math community, and growing success through assessment. Using frameworks for collaborative study and action-based/classroom-embedded activities is a means by which we can occasion thinking about our plans and actions--i.e., assessing our moves and reflecting to inform next steps to meeting goals. Collaboratively planning, acting, assessing and reflecting, in a cyclical manner, are key components to the 'How' of school improvement. How might we go about improving student achievement, equity and well-being in our schools? If you're leading the instructional program in your school, the Improvement Planning Assessment Tool (IPAT) offers up guiding questions to each of the critical phases to school improvement planning. How might you design and implement system-directed professional learning for your learners? Consider the summary of actions (Upper Canada DSB; see left) and projections being made for 2018/19 for growing students' achievement, engagement, and well-being through mathematics. There is a plethora of research-informed resources and practices that can be used to help facilitate group and individual, professional learning in Mathematics. Below, you'll see and have access to an interactive infographic that highlights current, key researchers and resources to pay attention to during your collaborative study. To access these sources, hover over the various areas of the graphic and click to access the embedded links. Implementing plans and responding to learners of all ages can be done in a variety of manners--from applying a new strategy to implementing initatives of greater scale. 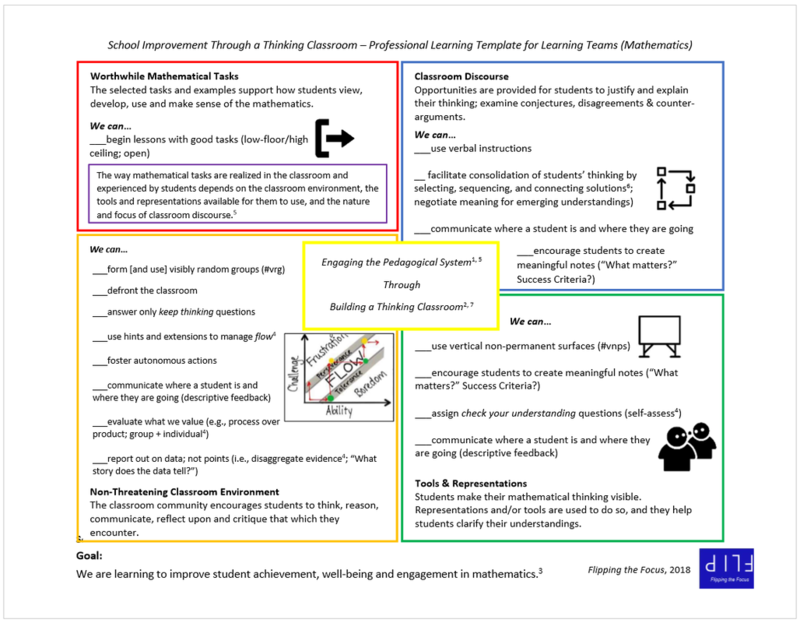 Recently, a pedagogical framework for addressing improvement in teaching and learning (mathematics) is that of a Thinking Classroom (Liljedahl, 2016). 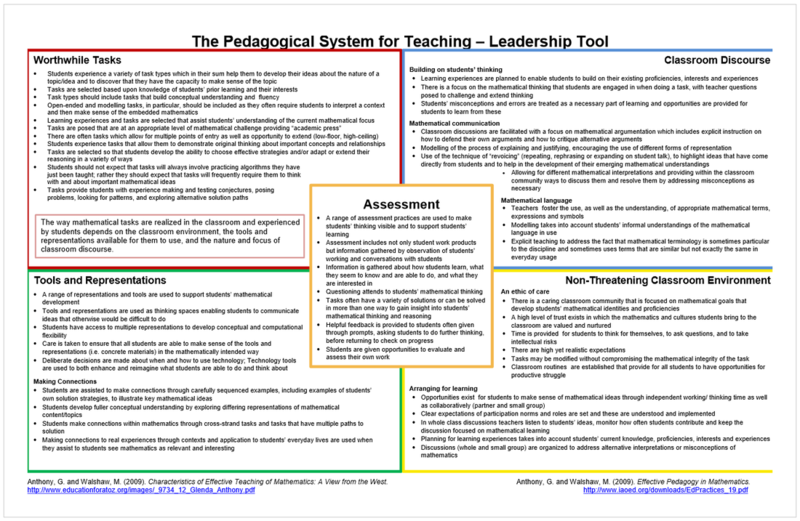 In your leadership practices, related to keeping the various aspects of the Pedagogical System 'in play,' the System Implementation & Monitoring (SIM) K to 12 resource lends itself well to inviting reflection to formative assessment practices. What methods/activities are available to you and your learning teams for facilitating collaborative forms of study? Exemplifying collaborative professionalism through leadership means that we are knowledgeable/know how learning happens, are able to mobilize knowledge/learning, and work to sustain growth incurred by collective efforts. Try this MS-form for observation during classroom, rounds-like observation of student thinking and culturing discussion and reflection of how the system elements can/are impacting assessment/instruction. ​Are you monitoring school improvement with a focus on tracking key profiles in your classrooms? Consider re-purposing the information your team can collect using this form in MS-OneNote.